Call no one Father on earth, for you have one Father—the one in heaven. These words come to us in a gospel that critiques the established religion of the day in a big way. Matthew presents the way of Jesus, not as an alternative to Judaism, but as an alternative to the temptation of honorific titles, whether Rabbi, or Father, or Teacher. If you follow Jesus, says the Good News, you need not call anyone by any title, because Jesus offers a religion of community. Jesus calls each of us to be equal among disciples. The gospel calls into question the human structures that obscured the essence of faith and God’s call to us. The gospel gives us several examples of these human structures, such as…phylacteries. Now, I know that some of you have been on the edge of your seat wondering: what the heck is a phylactery? Hear, O Israel: The Lord is our God, the Lord alone. And you shall love the Lord with all your heart and all your soul and all your might. At the Cathedral of St. John the Divine in New York City, a cantor sings this in Hebrew at the beginning of every service. Shema Israel, adonai elohenu, adonai echad. In a stone structure the size of a football field, it is hauntingly beautiful to hear. Keep these words that I am commanding you today in your heart. Recite them to your children and talk about them when you are at home and when you are away, when you lie down and when you rise. Bind them as a sign on your hand, fix them as an emblem on your forehead. In Jesus’ time and in our own, Orthodox Jews use their phylacteries to literally bind the word of God to their forehead. Jesus does not object to this practice. It is scriptural. What he objects to is the size and showiness of the phylacteries he was seeing. Now, Jesus’ reference to these strange objects is not a trivial aside, but is central to his teaching: in turning the container of the word of God into a status symbol, God’s people have lost sight of God. Anybody hear an important message for our own time? Over time, we have turned church buildings into containers for the word of God, and put too much of our energy into making and maintaining beautiful, perfect buildings. Nothing wrong with offering our very best to God. The problem—which has gotten organized religion into quite a pickle—is when we think of church as a building, rather than as a people or a gathering. Church is the container, it is not the word of God nor the work of God. And so in today’s Gospel Jesus warns: Do not lose sight of God and God’s kingdom in the trappings around God’s word. Another warning in today’s gospel is do not tie up heavy burdens, hard to bear, and lay them on the shoulders of others. This could be a protest slogan. All around us, in our city and in the world, at this very moment, people want to throw off the heavy burdens placed on them by others. Those burdens are the result of structures that are so entrenched in our society that anyone who tries to question them is accused of being inarticulate, unpatriotic, or worse. 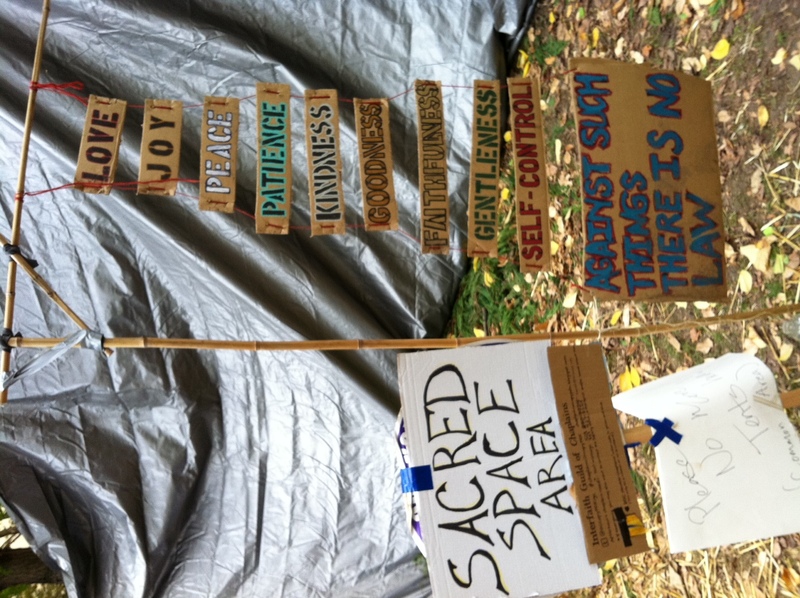 Griff and I spent time in the Occupy camp on Friday and experienced the complicated mix of activists, doing important organizing work, and people used to being on the streets, their shoulders long ago crushed by the burdens of others. The camp is full of people with very real and complex needs, which the Occupy organizers and activists are trying to meet while also addressing the wider issues of economic injustice. Economic injustice, war, and poverty are what result when Jesus’ teachings, about outward trappings, social status, and distribution of wealth and power are ignored. Did I just say that the anger and indignation of the Occupiers is aimed at people who don’t follow the teachings of Jesus? I’m a pretty pluralistic gal. But I also think Jesus was onto something. I had an ethics professor in seminary who said that all Christian moral teaching could be found in Philippians 2. Let us imagine taking on the mind of Christ in our time and place. Jesus gets very specific in today’s gospel about human structures and constructs—containers, trappings, titles, and hypocrisy—that get in the way of our work of unveiling the Kingdom of God. Regardless of where we are in our own journey, our work always begins with paying attention. That’s what Jesus asks of his disciples, and it’s what the Good News always asks of us. Pay attention to the stress we put on external trappings for the word of God. Ask ourselves, honestly, are we asking others to carry burdens we would not carry? And finally, do we secretly wish for exaltation rather than humility? If you answered yes to one or more of these questions, you’re in good company. Welcome to the human race. The kingdom of God begins with paying attention. And it begins with gathering, in all kinds of imperfect containers, to share what we have, to eat and drink together. As we gather around this table, let’s gather in solidarity with those who are without food and without homes, who are not even invited to some tables. Let’s gather in solidarity with people everywhere who long for justice, freedom, and peace. Let us gather around this table celebrating the great and unending feast that happens whenever we share bread and wine in the name of the One who invites us, in every moment, into promise and hope. Give therefore to God the things that are God’s. The Pharisees are at it again, trying to trap Jesus. This time, they’ve come up with a question they think he can’t possibly answer without getting into trouble. Is it lawful to pay taxes to the emperor, or not? The best way to get us all on the same page of first-century political economy is to liken it to the original Tea Party, the one we all learned about in school. The residents of the colonies were being taxed exorbitantly by what they increasingly came to see as a foreign power. The Pharisees were law-abiding Jews who paid the tax to the Romans, although they probably didn’t like it. They wanted to get Jesus into a situation where he would either get in trouble with the Roman authorities (the equivalent of the British Crown in tea party days), or with the Jewish nationalists who wanted to resist the Roman tax and who would reject Jesus if he seemed to be supporting Rome. Jesus carefully answers the question in a way that won’t offend anyone. Not because Jesus cares about whether or not he offends anyone; he doesn’t. But in the process of giving the “right” answer, he cleverly works in the important part: give to God the things that are God’s. Be just as careful with things that belong to God as you are with what you owe to Caesar. So how do we know what belongs to God? It’s tempting for me to equate “what belongs to God” with “what I give to the church.” If that’s the case, my answer is: ten percent, of course! (Your own answers may vary.) Some of you have heard me talk about my church giving before: I give ten percent of my paycheck. People always want to know: net or gross. I tithe after deductions for retirement and social security, because I’m going to keep tithing on that money later. What has been very helpful to me is that my check to the church is the first check I write. The church gets the first fruits, not what’s leftover at the end. I know talking about ten percent makes some people squirm. But this is what I have felt God calling me to give. Long ago someone said: “Don’t give ‘till it hurts; give ‘till it feels good.” Well, ten percent is where I got to in the quest to feel good. In my own life, it’s easy to compartmentalize how I spend money. Ten percent to God, so much for the mortgage, this much for gas, this much (too much) for coffee and lunches out, a tiny bit of savings for birthday and Christmas presents, and, a few times a year, some to other charities. 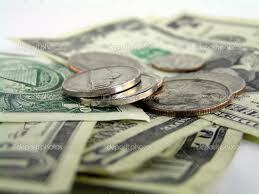 As a church, we tend to compartmentalize as well: worship is spiritual; money is material. We don’t talk about money in worship, we only talk about money when we need to pay the bills. Here we set up false compartments and do ourselves a disservice as a faith community. I’m guessing that some of you have concerns about money, perhaps grave concerns at times. Maybe you’re even thinking about them this morning. Ought not these concerns have a place in church? A few weeks ago we returned to the common practice of keeping the offering plate with your gifts in it on the altar, to be blessed along with the bread and wine. This is not a new thing. In the old days, church happened because people brought bread and wine from their house to share; the priest would ask everyone to present their life and labors to God, and the gifts would be collected and brought forward. Communion was all about making ordinary things holy. Today, we share the fruits of our labors in the form of money. 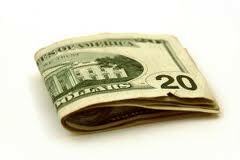 Money has a place in church in the same way money has a place in other parts of our lives. The money that we put in the offering plate each week—or that we give on-line—is the glue between who we are all week long, and who we are on Sunday. Money is one of those things, which Jesus talks about in today’s gospel, that is of God. There was a guy who saw a pearl in a store window that he wanted more than anything else. It was huge, and it was the most beautiful thing he’d ever seen. He had to have it. He went inside and asked the guy behind the counter how much it was. “How much do you have?” responded the guy. What are the things that are God’s? All that we are and all that we have, all the time. 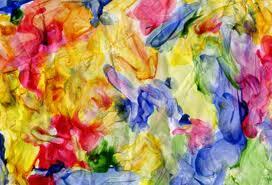 All that we are: our joy, our sorrow, our generosity, our fearfulness, our wisdom, our fatigue, our love. All of it comes from God, all of it belongs to God. All that we have: our treasures, our emptiness, our longings, our families, our friends, our enemies, our dreams, our talents, our money. Not ours, God’s. All the time: not just on Sunday mornings, not just when we’re desperate, not just when we’re thankful. All that we are, all that we have, all the time. With gratitude to the Rt. Rev. Greg Rickel, Bishop of Olympia, who shared a version of this parable with the clergy in the Diocese of Oregon earlier this fall. 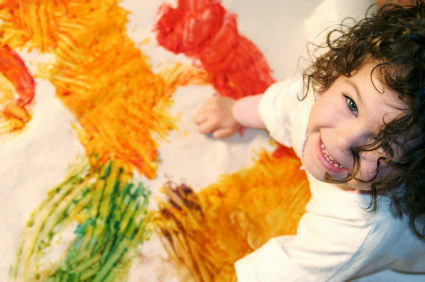 There’s a wonderful concept afoot in the Fresh Expressions movement in the UK and beyond called “Messy Church.” It’s a wild, crazy and – you guessed it – messy blend of worship, creativity, and food that makes the message of Jesus and the Great Story we tell each Sunday particularly accessible to families with young children. I’ve heard of Messy Church for a long time and just recently had fun perusing their website. I love the name and the concept but I’m here to say that all church is messy church. Last night at a parish leadership meeting I surprised a couple people by saying that church was not a good place for tidiness and control. Afterwards someone asked me to say more about what I meant. It’s always a blessing when someone asks that, because it helps me to clarify my own thinking and clear up any misunderstandings. There’s nothing wrong with being tidy, or trying to keep control over something at the church (good luck with that!). 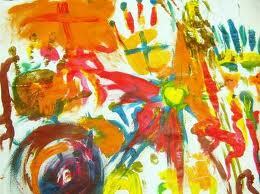 But if I start thinking of these things as ends in themselves, I hope someone reminds me: all church is messy church. Sara preached this sermon at Sts. Peter & Paul Episcopal Church on Matthew 22:1-10. The slaves went out into the streets and gathered all whom they found, both good and bad; so the wedding hall was filled with guests. “Dear Sara, we will do everything we can do to make you whole.” Wouldn’t it be nice if getting a refund check was all it took to make someone whole?? I started thinking about what makes wholeness. What makes you feel whole? There are a lot of ways to look at this. When I think of wholeness “in the biblical sense,” I think of a whole lot of words that come from the same root: shalom, salvation, healing. Today’s readings provide a couple of different lenses for wholeness. The reading from Exodus speaks about looking for wholeness in all the wrong places, making gods out of gold. The people who in that moment of salvation history are dancing around the edges of becoming the people of God, have yet to learn that wholeness is to be found not in golden calves but in relationship with the One who delivered them from slavery and travels ahead of them into the land of promise. The letter to the Philippians speaks about wholeness in the language of the peace of God, the shalom that happens when everything works together, in the community of our heart, mind, and soul, and in the community of our extended families of neighbors, strangers, and even our enemies. In today’s gospel, the way I understand Jesus’ parable of the wedding banquet is that wholeness comes in the form of invitation. The Kingdom of God includes the whole community, and includes an ever-expanding cast of misfits, foreigners, petty thieves, drug addicts, people who use our church building and don’t clean up after themselves, good and bad. The kingdom of God is an extravagant, indiscriminate banquet. I could preach a whole sermon on God’s indiscriminate, extravagant love, and I often have. Today I want to talk about how we try to imitate that indiscriminate, extravagant love at Sts. Peter & Paul on Friday evenings. In the summer of 2002 I did an internship in the east end of London, helping out with a gritty, city ministry with prostituted women that had been started years ago by a bunch of Anglo-Catholic Socialists (my very favorite kind of socialist). I came to experience that ministry as an expression of God’s indiscriminate love, in the form of an invitation made in the streets to women, good and bad, to come to the table. In that case, the table was the back of a van, that drove around one of the worst “red light districts” of London, stopping in back streets to serve food, coffee, and hygiene products, and helping women to be in community with one another. A year later, I returned to Portland from seminary, committed to volunteering for a program similar to what I’d experienced in London. I found that there was nothing like it, and that resources for prostituted women were almost non-existent. As recently as 2003, not many people wanted to talk about it. But I couldn’t stop talking about it, and found a kindred spirit in Ellie Applewhite-Terry, who had similar experiences and passions. We felt that Sts. Peter & Paul would be the perfect spot for a ministry to street women. I believe that as long as churches have buildings, a church’s location and its vocation are inextricably linked. Sts. Peter & Paul is an amazing location for a church. We got lots of support both from within and beyond the parish and Rahab’s Sisters opened its doors on the first Friday of Advent, 2003. We began gathering once a month, and gradually expanded to the point where we are now open every Friday of the year, serving between 20 and 30 women each week. We provide a home-cooked hot meal, hygiene items, and no-strings attached conversation. It’s that last bit that is most important: we provide a quality of interaction that most of us take for granted. When we sit down for a meal with friends, no one is going to ask us for our ID or our social security number or whether we’re clean and sober. 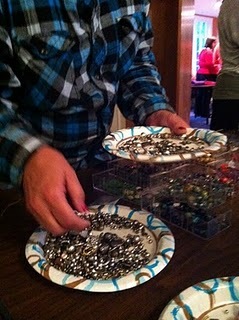 Recently, upstARTpdx has offered jewelry-making to women who come to Rahab’s Sisters. So in addition to a meal and a safe, warm place to gather, we offer a feast of creativity. If you visit on a Friday night, it looks like the Kingdom indeed. There are two questions people commonly ask about Rahab’s Sisters: the first is: what are you actually doing to help these women when they want to “get off the game” and change their lives? I have a friend who speaks about the healing, transformative process for women transitioning out of prostitution as being like reweaving. When fine wool has a hole in it, you can’t just put a patch on it; the patch won’t hold. And even if it does, it usually doesn’t look right. The alternative to patching is something called reweaving. One by one, new, strong threads are attached to the threads on the edge of the hole. It is through the patient tying and weaving of threads that the hole is made whole. For many women served by Rahab’s Sisters, the threads are as myriad as they are for a fine piece of woolen fabric: education, housing, dental work, basic health screening, nutritional counseling, parenting classes, legal help, rental assistance, landlord advocacy, medical care, psychotherapy, drug treatment, physical therapy, clothing, food security, good friends, places to go and have fun, more education, more dental work….the list goes on and on. At Rahab’s Sisters, we know that we cannot be all of these threads to the women we serve. 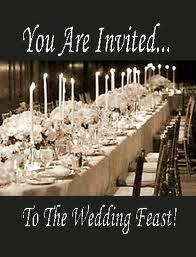 But we can offer an invitation, and a warm welcome to a feast in a hall filled with guests, both good and bad. Gandhi once said There are people in the world so hungry, that God cannot appear to them except in the form of bread. At Rahab’s Sisters we believe that the women we serve are hungry for welcome and for caring, no-strings-attached interaction with other women, and this is how we speak to them of God. As we respond to God’s invitation to the feast, let us join God in making whole, through imitating God’s indiscriminate, extravagant love. Heather Lee offers this reflection. Come worship with us at this evening’s Peace Mass to join the conversation. My daughter is named Francis, with the ‘i’ not the ‘e.’ I didn’t name her for a saint, I didn’t go to church then and I wasn’t raised in a church that acknowledges saints. 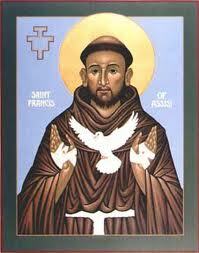 But now that we do, she often received tokens from loved ones about St. Francis. We have several books about him and his life. Invariably, these books start with his boisterousness and generosity, then tell of his conversion in the road, coming face to face with a leper. They tell of his parents shame and embarrassment at the life of poverty that Francis chose after that fateful meeting. We probably know quite a lot about Francis in our family, thanks to all these wonderful gifts. But I wonder what everyone else knows about Francis. Why does he wear that brown robe? Why is he surrounded by all those birds? What’s the story with that wolf?What was it really like to choose poverty? The key, I think, to understanding Francis was his infectious joy. He did absurd things because he was blown away by the wonder of all creation. And for Francis, the way he chose to come close to God, and let God come close to him, was to embrace poverty. Many people were drawn to that joy and voluntarily joined Francis in his poverty, his generosity, his joy. The gospel for today comes from Matthew and ends with these words, “Take my yoke upon you, and learn from me; for I am gentle and humble in heart, and you will find rest for your souls. For my yoke is easy, and my burden is light.” (11:29-30). I wonder what it means to voluntarily embrace poverty? I wonder how these words might be an enticement or a comfort in that choice?